The Borgo La Grancia is a great fortified estate built in the thirteenth century by the Ospedale of Santa Maria della Scala. It's made of ancient courtyards, a wide and verdant roof garden, a green area where the pool is located. The Borgo has a little nineteenth-century theatre inside; there's also, nearby, a little church, Santa Caterina that is the perfect place for intimate religious ceremonies. The fascinating historical residence with its unique elegance allows guests to fully indulge in its beauty and its romantic atmosphere and it will make your ceremony an unforgettable experience. The Borgo La Grancia is the ideal place to celebrate your wedding, especially outdoors. It is situated on the grounds of ancient courtyards, a wide and verdant roof garden, a green area where the pool is located, overlooking the beautiful valley. The presence of various idyllic settings can play backdrop to weddings of so many different styles. The sheer beauty of the scenery and the services that the Borgo offers make it the perfect location for the organization of parties, anniversaries and cocktails. The little nineteenth-century theatre inside makes it the ideal location to organize concerts and conferences. The little church of Santa Caterina is the perfect place for intimate religious ceremonies. Borgo La Grancia has successfully passed the 100 Quality Controls established by the "Certification Protocol of Historic Houses of Excellence" and is properly certified by the ITALIAN REGISTRY OF THE HISTORIC HOUSES OF EXCELLENCE. 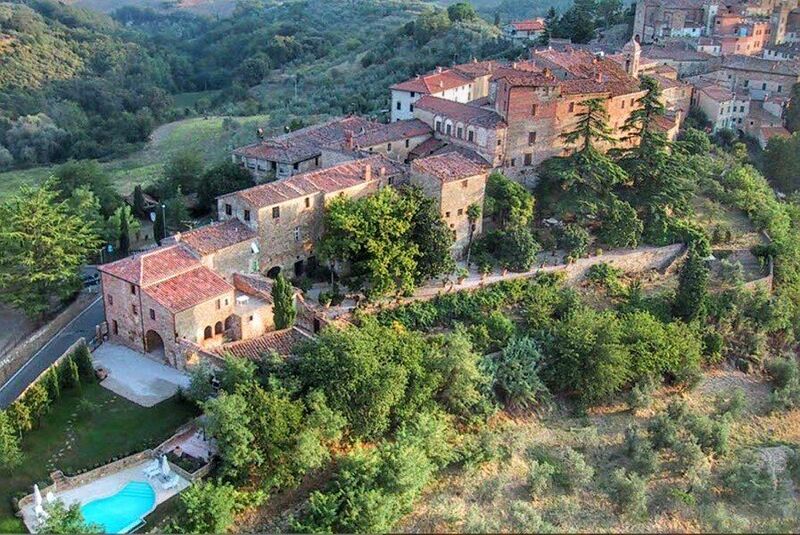 The phone number of Borgo La Grancia is +39 0577845041 or 3355404145.